The Gonzaga Winery is a cooperative of winegrowers that was founded in 1928 on the initiative of a small group of winemakers who at the time grew around 2,000 quintals of grapes. 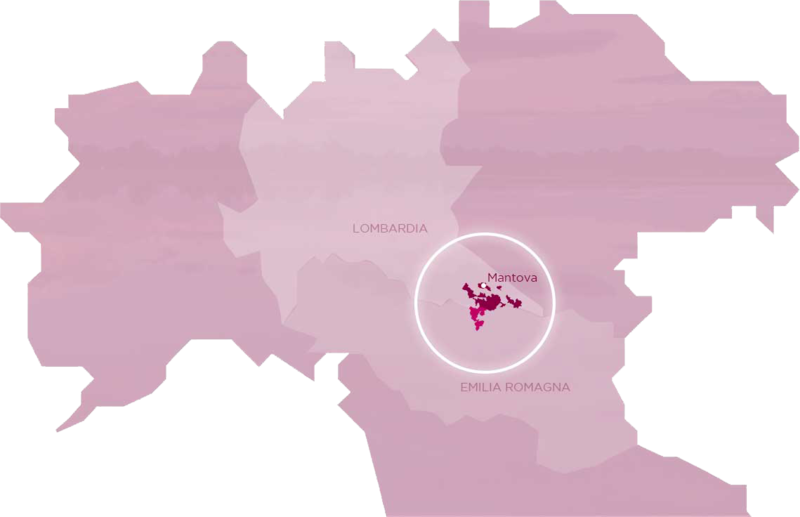 Owing to trust and great perseverance, today, Gonzaga’s Winery counts around 100 members who cultivate more than 30,000 quintals of grapes to produce DOC and IGT Lambrusco Mantovano. All members are supervised by a group of specialized agronomists. For years they have been working following the Integrated Pest Management parameters, guaranteeing a top-quality product while at the same time respecting the environment by reducing the use of plant protection products to a minimum. During the years, the Gonzaga Winery has provided itself with advanced equipment for the processing and vinification of grapes and bottling of wines, respecting their character and conserving their particular qualities. objects and events that have shaped it. Gonzaga is situated on the border between the Lombardy and Emilia-Romagna regions. Enologically speaking, it is a precious crossroads of experience accumulated in the process of winemaking. Our members plant their vines in the area of the Po valley where the provinces of Mantua, Reggio Emilia and Modena come together. The area is characterised by different types of alluvial soils, from compact to sandy, used to cultivate grapes for the production of sparkling wines. This area, situated in the plains to the right of the Po river, is known to have always been the realm of Lambrusco Mantovano. This ‘cradle’ nurtures our precious grapes for the production of our wines.